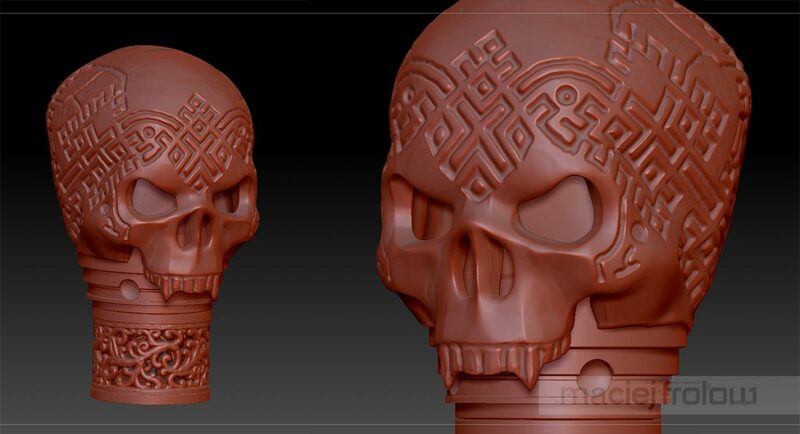 Personal project of a cane`s head modeled in zbrush. The 3D model was made partially in modo for the lower part. All the other parts was sculpted in zbrush. The final object is 6x7x11 cm tall. 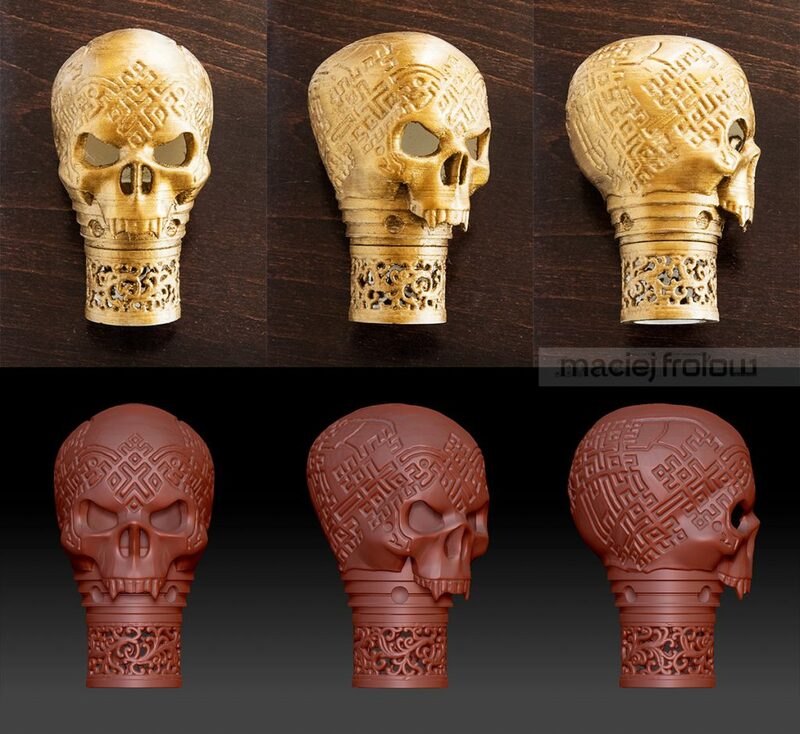 A first 3D print (thanks Kuba Schmidt) and a try of old gold painting is on the photos. Quality will be improved by polishing to meet smooth surface and a vernish will be applied to keep the color vivid. The final cane will be a very solid object due to the PLA resistance.